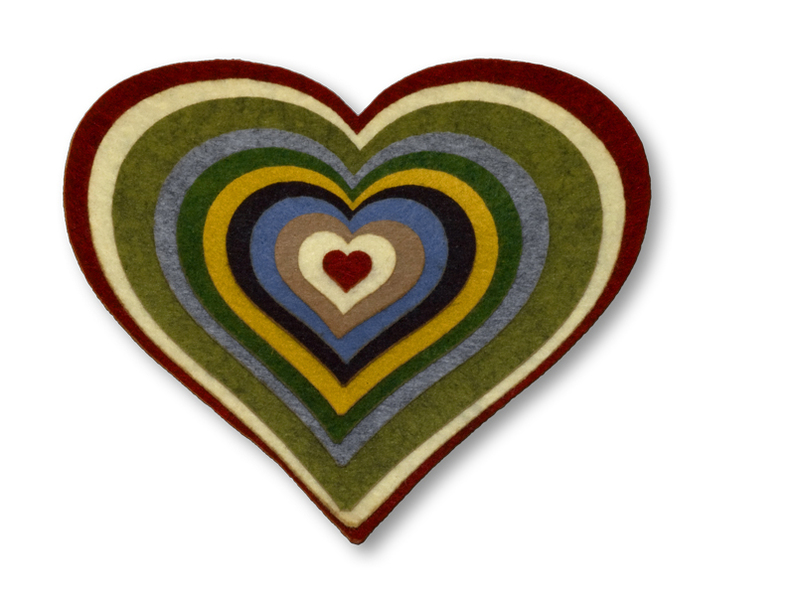 All of our Pennies and Hearts are precision cut from a wool felt blend and available in different sizes/colors. 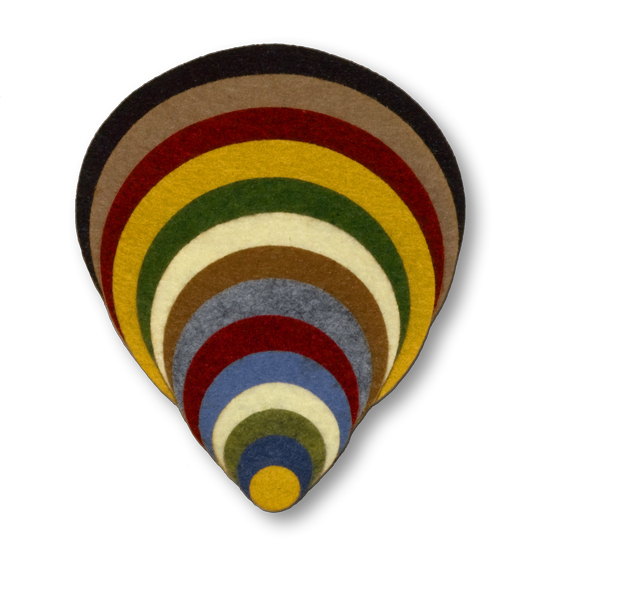 All of our wool felt products and kits are made in the USA including the felt, the cutting and the packaging. Building your own penny rug, mat, or other design? Need a lot of pennies? You can try cutting them by hand with a die cutter machine, but we think you will find our prices so good that you will choose to just buy them from us. Every penny is precision cut and we use wool felt that is made in the USA and our cutting is done right at our shop in Morgan Hill, California. So it's really all made in the USA. When stacking pennies, it is best to choose every other size to provide a proper show of your blanket stitch. Popular sizes for three stack pennies are are 1″, 11⁄2″, and 2″ or 3⁄4″, 11⁄4″, and 13⁄4″. Want to do a penny rug for a bedroom? Using 13⁄4″ size, you will need to plan on 48 per square foot. So, for a 10′ × 10′ rug, that's 4,800 13⁄4″ pennies (without stacking them). Making a three stack of 3⁄4″, 11⁄4″, and 13⁄4″ means you need 14,400. When you are doing a project this large, give us a call and ask about our thousand-piece price. If you are ever in Dearborn, MI, take a trip over to Greenfield Village and you can see some of the room sized penny rugs. It's a real "wow"! Want to build your own design? 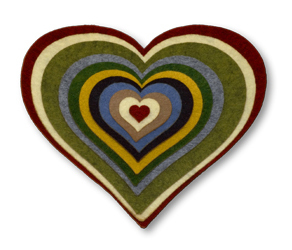 Our wool felt hearts are precision cut and available in bulk. When choosing sizes to overlay or stack, unlike the pennies, each size provides the proper spacing to the next size for a nice show of your blanket stitch.